If there’s one thing that’s certain about Morkies, it’s that they’re really stinking cute. A Morkie is a cross between a Yorkshire Terrier and a Maltese. Out of 194 ranked breeds, the Yorkshire terrier ranks as the 9th most popular and the Maltese ranks as the 33rd most popular. 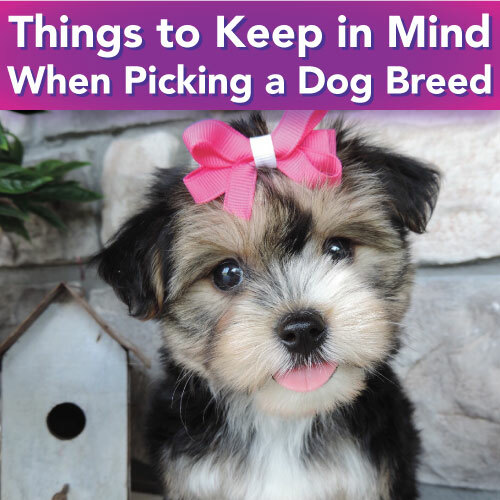 Naturally, the hybrid they create — the Morkie — is super popular too! Although Morkies aren’t recognized as an official breed by the American Kennel Club, there’s no doubt that Morkie enthusiasts will continue to campaign to change that. But how exactly did Morkies come to be and what exactly do they act like? Let’s break it down. Morkies were bred to be the small, endearing lap dogs that we’ve come to know and love. 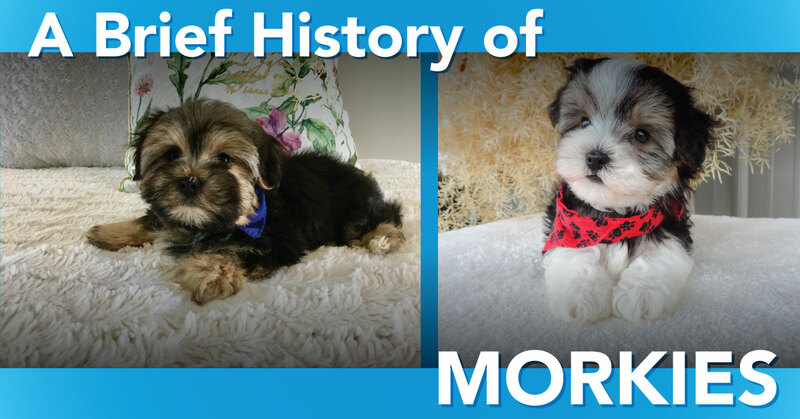 They have only been around since the late 1990s, so Morkies are a rather new “breed.” Originally called a Yorktese, Morkies are also known as Morkshire Terriers or a Maltese Yorkie Mix. Our goal is for them to be 4-6 lbs full grown. That is a healthy weight and yet they are small enough to scoop up and take with you anywhere, even on a plane, without a problem. When it comes to their personalities, Morkies can be rambunctious! If you’re looking for a dog that is energetic, confident, and full of life, than look no further. And don’t let their small stature deceive you; Morkies can play for hours upon hours! Their spirited temperament is lovingly balanced by their desire to snuggle up with you at the end of the day. Morkies are incredibly loyal. They want nothing more than to be by their owners at all times. Keep in mind that since they are prone to separation anxiety, it will be hard for them to be away from you. However, if you are a dog owner who has the ability to be around often — or you have a partner and/or family who is always home — a Morkie is a great fit. They will be attached to you at the hip and stuck to you like glue! If you’re looking for a small dog that’s good with children and other pets, extremely fun, and unwaveringly loyal, look no further than a Morkie. As a mixed breed they bring the best of both worlds: the fierce loyalty of a Yorkshire Terrier and the lightheartedness of a Maltese. What’s not to like? Yorkshire Terriers are one of the most well-known dog breeds on the planet. 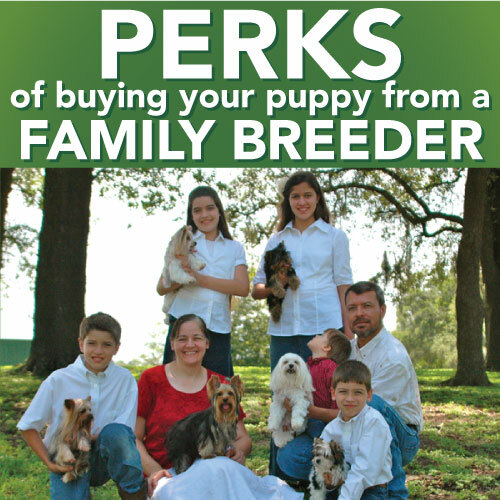 They are also the most popular toy dog breed. As professional, AKC licensed breeders of Yorkie, Morkie, and Maltese puppies, we have the wonderful privilege of spending our days playing and socializing these wonderful little creatures. 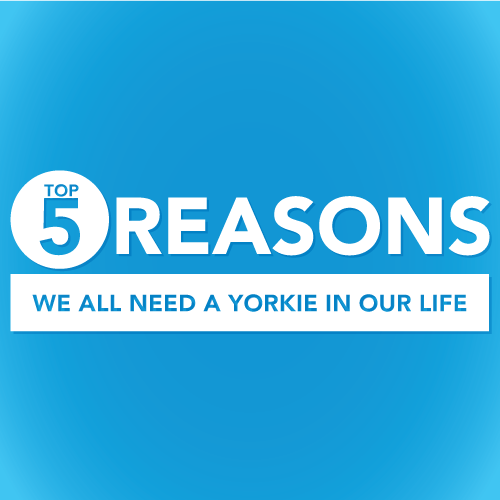 Here is a list of 5 things you probably DIDN'T know about Yorkie puppies!